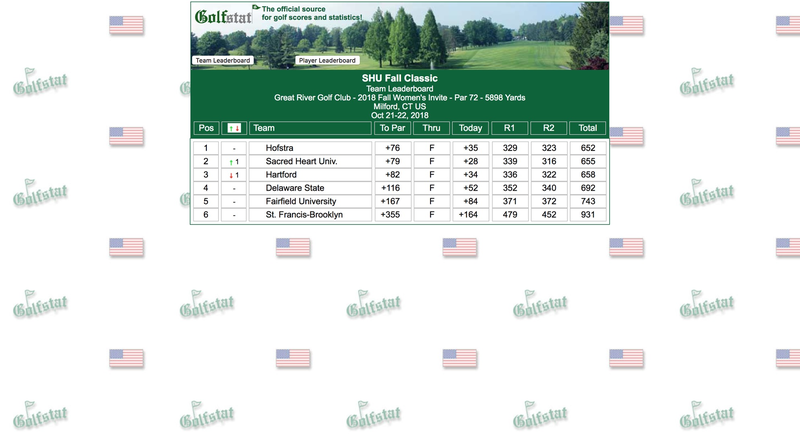 MILFORD, Conn. — The Sacred Heart University women's golf team concluded its Fall season, finishing second of six teams at the SHU Fall Classic on Monday afternoon at the Great River Golf Club. All Pioneer seven golfers, including Maya Isom who competed as an individual, finished in the top-20 out of 31 individuals at the invitational. As a team, SHU finished 79-over par and a 655 total. 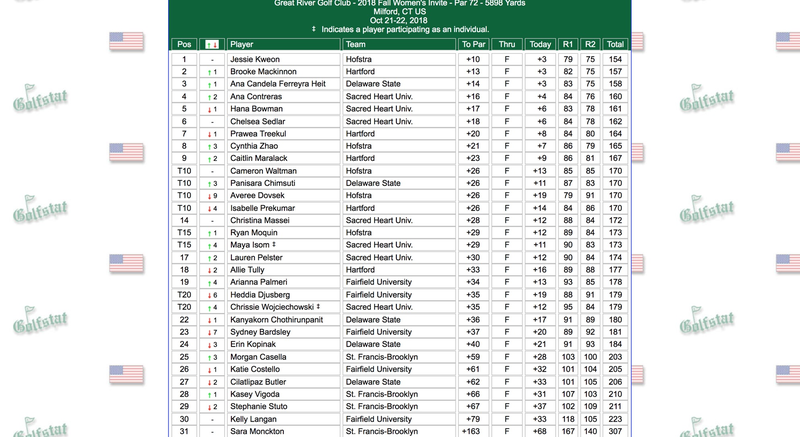 Hofstra took the crown, finishing 76-over par and an 652 total. Ana Contreras led the way for the Pioneers, finishing tied for in fourth, shooting 16-over par and 160 for the weekend. Contreras shot best in the second round, where she shot a 4-over. Hana Bowman finished right behind Contreras at sixth. Bowman concluded the tournament shooting 17-over par and 161 for the weekend. Bowman closed the weekend strong, shooting a 78 in the final round. Chelsea Sedlar finished in sixth overall, shooting 18-over par, including shooting a 78 in the second round. Christina Massei concluded the fall season by shooting 28-over. Isom competed as an individual and finished tied for 15th by shooting 29 over. Lauren Pelster and Chrissie Wojciechowski rounded out the group, finishing in 17th and tied for 20th and shooting 30-over and 35-over respectively.